Keeping your workplace safe can be a difficult job. 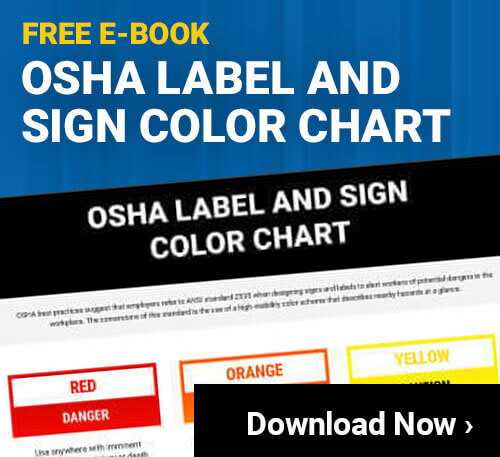 There are countless regulations and best practices out there to follow, which can often make it difficult to figure out what will actually work best in your specific facility. There are also many great workplace safety shortcuts that can help make quick improvements to the facility. Unfortunately, many of these types of shortcuts actually reduce the overall safety of the facility, or cause risk to the individual who is taking them. As important as it is to focus on making sure everyone is taking the right safety precautions, it is equally important to ensure they are not making these common safety mistakes. Look over the following ten workplace safety shortcuts that you should eliminate. Everyone knows that when lifting something really heavy, you should use a back brace, lift with your legs and even get other people to help share the load. When people are lifting lighter things, however, they often ignore these simple workplace safety tips. Instead, they just grab the item and go on their way. This can expose them to serious safety risks. First of all, many objects that appear to be easy to lift can be deceptively heavy. When people grab them carelessly, they can quickly injure their back. In addition, taking this type of workplace safety shortcut can lead to bad habits. As people see others lifting improperly, they will start doing the same with heavier objects. Instead, encourage everyone to always follow proper lifting techniques. There are always times when there is just so much work that needs to be done that people can be tempted to skip over their lunches or breaks. While this is typically done with the best of intentions, it can lead to some serious safety problems. Taking breaks at work isn’t just a nice way to relax, it is actually an important part of workplace safety. By letting your mind and body recover for even just a few minutes at a time, you will be able to work more safely. Taking a lunch is even more important, as it will help you to regulate blood sugar so you can work more safely for the rest of the day. Most facilities have dozens or even hundreds of different tools on site at all times. This is important because each tool has a specific purpose and job, which it will perform properly. In some cases, however, people will be tempted to take a workplace safety shortcut by using a tool they have with them, rather than taking the time to go get the proper one. For example, trying to pound a nail into wood with the back end of a screw driver, rather than going to get a hammer. This can not only break the screwdriver, but it exposes the user to a lot of unnecessary danger. This is obviously an extremely simple example, but there are many other similar workplace safety shortcuts that people make when working with tools, and you should put an end to it. High Temperature Locations – If you are applying a label to a pipe or machine that gets extremely hot, you need to use label stock that won’t melt or get damaged from the heat. Cold Temperature Locations – When putting labels in freezers, or outside in cold weather, the cold weather label stock will prevent the adhesive from getting brittle and damaging the label. Oily or Greasy Locations – There are many places in most facilities that get covered with oil and grease. To get a label to stick in these environments, you need a special label stock made to hold tight, even when placed on an oily or greasy surface. Wet or High Humidity Locations – Putting labels outside, near open water, or anywhere else they might get wet is a common practice. You’ll need to make sure you use vinyl labels, or another waterproof label stock, to prevent problems. Attempting to just use one type of labeling stock is a workplace safety shortcut that you don’t want to take. It will dramatically reduce the life of the labels, which exposes everyone to unnecessary risk. When there is a major accident or injury in the facilitiy, everyone knows that they need to report it, fill out the proper paperwork and usually have an investigation into the cause. This is, of course, a good thing. For every actual accident or injury, however, there are often several ‘near misses’ where something went wrong, but nobody was hurt. It can be tempting to ignore these events, since they didn’t cause a disruption of work. The fact is, however, that you should always investigate them completely to ensure they don’t happen again. Remember, today’s ‘near miss’ is tomorrow’s accident if it is not prevented. Most facilities will need to meet a set minimum for things like the number of fire extinguishers or emergency eye wash stations in the facility. While these minimums are a good start, many facilities should really have more of them available. As someone responsible for the safety of the facility, you should identify areas where there are specific risks, and make sure the proper emergency equipment is located nearby. Complying with just the minimums is a popular workplace safety shortcut, which can lead to major problems. Most facilities will have a team of people who are responsible for the day to day cleaning of the facility. While this is a great start, it is typically not sufficient to keep everyone safe. There are often many areas of the facility that need to be properly cleaned beyond just sweeping up messes or cleaning up spills. For example, keeping all the safety signs in the facility wiped down is very important. Dust, dirt, grease and other things can build up on them, making them very difficult to read. Since they aren’t on the floor, cleaning them is often neglected for months at a time, which can cause significant risks. Facilities typically have to have all the exits clearly marked with an easy to read sign that lights up in the dark. While this is a great start, it may not be enough in your facility. Due to large machines and the extensive floor space in most facilities, it can be difficult to see where exits are located, especially during an emergency. To help ensure everyone knows exactly where they should go, no matter where they are in the facility, it can be a good idea to add some sort of floor markings that always point people toward the nearest exit. Reflective floor tape, for example, is an affordable, easy to install option that can be used in almost any environment. When a company hires someone on, they typically provide them with all the training they will need to do their job properly. In some cases, however, that is all they will tell them. This is one of the most dangerous types of workplace safety shortcuts, because it exposes not only this individual, but the entire facility to danger. It is essential to provide high quality safety training to all employees when they are hired on, and then continue to give updates to this training on a regular basis. Simple refresher classes or courses can help keep everyone focused on training as long as they work in the facility. Keeping the machinery in your facility up to date and well maintained is absolutely essential to the safety of the entire company. Putting off maintenance on a machine until something is broken or causing problems might seem like it will save time and money at first, but in reality it will do neither. Make sure you have the general maintenance requirements of each machine well documented so that nothing is missed. Keeping them running smoothly will not only make the facility safer, but it will also prevent unnecessary downtime and work stoppages. While shortcuts can sometimes be a great way to get things done faster, you always need to evaluate whether or not the increased speed is going to cause any unintended problems. It is always much better to do something properly the first time than to have to either redo it again later or deal with the consequences of the shortcut down the road. With this in mind, you should always take the time to fully evaluate any workplace safety shortcuts that people are taking, and see if they are really providing the facility with true benefits. If not, they should be eliminated to help keep everyone safe. 10 Workplace Safety Mistakes – You’ll Want to Read them All!